Aurore is the story of an innocent child that is abused by her troubled step-mother, after the sudden death of her real mother. This movie is based on the true story of Aurore Gagnon. The movie is in French but it has English translation. Marie-Aurore-Lucienne Gagnon was born on May 31st, 1909, in Quebec, Canada. She was one of the many victims of child abuse in our world. She was raised in a Roman-Catholic family, the second of five children of a farmer called TÃ©lesphore and his first wife, Marie-Anne Caron. Aurore’s family lived in Fortierville, Quebec, a small village on the southern shore of the St.Lawrence River. The couples’ first child, Marie-Jeanne, was born in 1907. Aurore soon followed with her birth. Not long after her youngest sibling was born, Joseph, her mother got hospitalised by TB. Not soon after, Marie-Anne Houde, the widowed cousin of TÃ©lesphore, moved into Aurore’s home, saying that she wanted to “take care of the house and children”. She already had two sons called Gerard and Henri-Georges. The mystery starts when 2-year-old Joseph was found dead in his cot. A coroner revealed that it had been a natural death. Many of the villagers suspected that TÃ©lesphore’s second wife, had something to do with it. On the 23 of January, 1918, Marie-Anne Caron died of tuberculosis at the Beauport Asylum. A week after her death, TÃ©lesphore cruelly married Marie-Anne Houde, without any respect for his previous wife. More villagers began to get suspicious when two of Marie-Anne’s children suddenly died and there was no investigation upon their deaths. After their deaths, Aurore’s father began beating her with the handle of an axe. 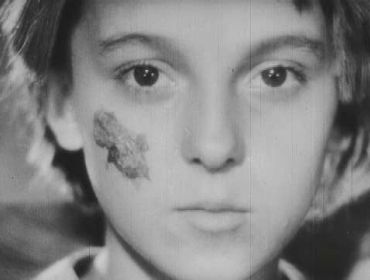 The beatings became more regular and at the age of 10, in 1919, Aurore was hospitalized for more than a month with a severe leg infection caused by her step-mother hitting her with an ice pick. When she was released from the hospital, the beatings continued. When Aurore died on February 12, 1920, she was found battered and covered with bruises. If the villagers had arrived a few hours before, she might have had a better chance of surviving from her injuries. At her funeral, Aurore’s stepmother and father were asked to sign a death certificate at the back of the church. But what greeted them was police officers waiting to arrest them, under the charges of murdering Aurore. What really happened was that the cause of Aurore’s death was poisoning due to her wounds being untreated. Aurore’s step-mother was sentenced to be hanged for her murder but her sentence was changed to life imprisonment. After serving 15 years she was given parole for ‘health reasons’, then she died of breast cancer in 1936. Her husband was sentenced to life imprisonment but he was released in 1925, from prison for ‘good behaviour’. He remarried and died peacefully in 1961. The movie was released in 2005, was directed by Luc Dionne, produced by Denise Robert and Daniel Louis. 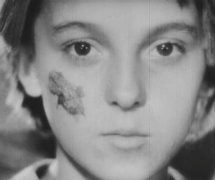 The movie is a remake of Jean-Yves Bigras’s 1952 movie La Petite Aurore/L’enfant Martyre (Little Aurore/The Child Martyr). To watch this film, it made me cry and cry. I think this film should be shown to everyone of appropriate age. A word of warning: this film will make you cry and it will undoubtedly break your heart. This film shows you the devastating effects of child abuse from more than a hundred years ago but what you’ve got to ask yourself is why is it still happening now? if this film doesn’t help raise awareness of child abuse, I don’t know what will. Help stop child abuse. If you have concerns for a child, don’t hesitate to get in contact with the NSPCC and hopefully one day, we will put a stop to child abuse. Remember this, if nothing else, a child is born to live a life full of joy and fulfilment, not a life filled with suffering and abuse. No child deserves to die, they have a right to live.